In this haunting memoir, Gail Gallant recounts her unbelievable life as a changeling, a child born to replace another. When Gail Gallant was five months old, she died. A year later, she was reborn. Or so her mother said. The crash occurred on a July night in 1955. The truck hit the Gallant family's car head-on; a few weeks later, newborn baby Gail died from her injuries. Mad with grief, her mother prayed feverishly for Gail's return, convinced that God would bring her child back to her. And when she gave birth within a year to a baby girl who looked identical to her lost child, she believed her prayers had been answered. She named that newborn baby Gail. 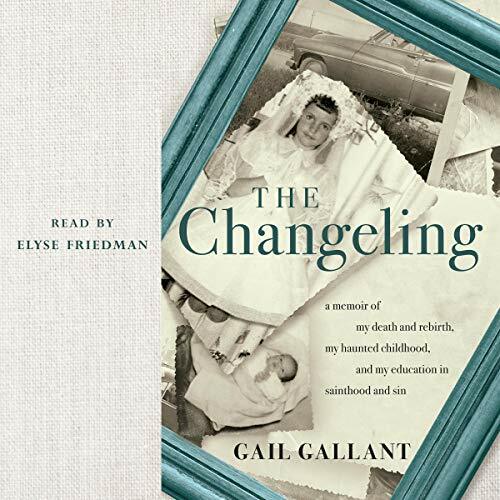 In this haunting memoir about having and losing faith, Gail Gallant recounts her awe-inspiring true story of life as a changeling - a child born to replace her deceased baby sister. A middle child in a large Catholic family, Gail embraced the belief that she was especially anointed, a status that was reinforced by her stern, devout mother and distant, hard-drinking father. Babies sometimes die, after all, but she was the one God had chosen to bring back to life. Eventually, this special status - the feeling that she had been singled out by God, and just as importantly, by her mother - became a source of secret anxiety for Gail. Doubt began to cast its shadow. As she grew up, questions plagued her: Why did God save her? What did he want in return? And what if she couldn't live up to his - or her mother's - expectations? What if she wasn't so special after all? Or worse, what if she was a mere impostor, only pretending to be the first Gail, whose life she now lived? For this changeling child with a tortured soul, finding her own identity meant wrestling with sainthood and sin alike. As she rewrote her origin story, Gail battled blinding depression and loss of faith. Ultimately, she discovered her own sense of what is extraordinary in becoming simply herself.